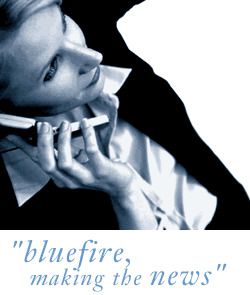 Bluefire Consulting | engineering team leader scada/process control : process control, infrastructure, PLC, automation, SCADA, utilities, water, energy, oil, gas, lead senior, manager, supervisor, engineer, HMI, electrical, industrial, project, install, engineering, quality, solution, system, application, technical. Engineering Team leader (SCADA). Coventry £38K to £43000 + bonus+33 days holiday + Excellent Pension + health. The Opportunity We are looking for two lead SCADA/automation process control systems engineers who have supervisory experience and are looking to make the step up to a team leader position. Our client voted one of the top 50 companies in the world to work for are looking for candidates with the potential to be able to develop into senior manager positions in the future. £38K to £43000 + bonus working Monday -Friday 9am-17.00pm +33 days holiday + Excellent Pension + Private health. We are looking for two lead SCADA/automation process control systems engineers who have supervisory experience and are looking to make the step up to a team leader position. Our client a leading blue chip company voted one of the top 50 companies in the world to work for are looking for candidates with the potential to be able to develop into senior manager positions in the future. £38K to £43000 + bonus working Monday -Friday shifts 9am-17.00pm +33 days holiday + Excellent Pension + Private health.